One of my favorite fun museums in Florence is Museo Ferragamo, home of the famous shoemaker, Salvatore Ferragamo. I ventured into the museum for the first time in 2010, and have made numerous trips since then to view the creative and interesting exhibits they have. Last year they had an exhibit on Marilyn Monroe on the 50th anniversary of her death that was absolutely fabulous. I spent several hours in the museum viewing shoes, journals, film clips and videos of her life. That exhibit has now moved on to Prague. This year the focus is on the theme of shoemakers in fairy tales. I picked up a free audio guide at the entrance, and entered a world of fantasy that could have gone on for the entire afternoon, but I only had ninety minutes to spare, as I was meeting a friend for lunch that day. Entrance to the museo, then down the stairs. The exhibit will be open until March 31, 2014. Thanks for the lead, Marybeth. 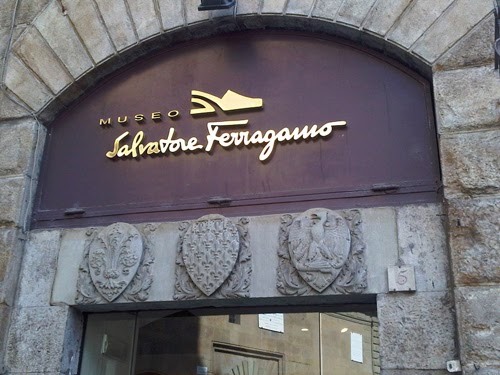 I posted this to my Pinterest board and will go to the Ferragamo Museum on my next trip to Florence. I went to the Bata Shoe Museum in Toronto, and it was lots more interesting than I would ever have imagined! Ferragamo was so creative with his shoes, and it's always fun to see them! 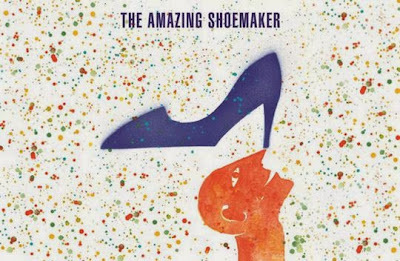 He became famous due to the shoes he designed for American movie stars. You won't be disappointed!